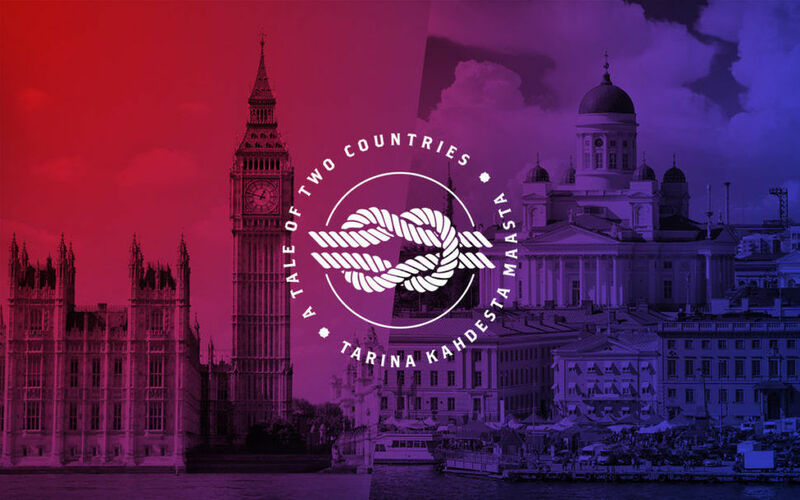 In celebration of Finland’s centenary of independence the Finnish Institute in London launches an online gallery titled A Tale of Two Countries 27 June. The gallery offers its visitors curated pieces of the shared history of Finland and Britain including cultural, political, social and personal history. It preserves digital cultural heritage, inspires the further use of digital collections and invites people to enrich the gallery with personal keepsakes. The Institute’s main partners in the project are The British Library, The National Archives of Finland, The National Library of Finland and several other archives. Other partners include The Yle Archives, The Päivälehti Archives, The Archives of President Urho Kekkonen and The Migration Institute of Finland. The gallery also includes material from The Guardian’s and Observer’s archives. A Tale of Two Countries makes archives available to the public, collects digital cultural heritage and invites everyone to share their memories and stories as part of the gallery. The gallery also introduces a group of interesting Finnish and British individuals who live their lives in between the two cultures. The gallery is part of the official programme of the Finland 100 anniversary. The gallery offers articles, images and both video and audio material. The material includes the story of Winston Churchill’s father’s fishing trips to Finland, how British ladies sent Jean Sibelius flowers - and the story of how punk travelled from the UK to Finland. The gallery also offers rare images of Queen Elizabeth strolling in a Finnish forest with President Urho Kekkonen 1976. “Putting the gallery together has been a great collaborative effort between the Finnish Institute in London and Finnish and British archive and library professionals. The main aim of the project is to celebrate the Finnish centenary by emphasising the role of digital cultural heritage and the importance of collaboration and crowdsourcing along with strengthening international networks in this field” says the Head of the Society and Culture Programme at the Finnish Institute in London, Johanna Sumuvuori. The gallery is open to public from 27 June onwards. The Finnish Institute in London invites everyone to view the articles and materials in the gallery as well as downloading their own stories and images onto the online portal - and become part of the Tale of the Two Countries.